That bad boy is the make-at-home version of Kerbey Lane’s “Boss” burger. It’s one of those things I’d happily just let Kerbey Lane make for me… but in 4 years of asking on Twitter, they have still yet to open a Houston location. And Austin is just too far to drive for lunch. Now that it’s warm again (I wasn’t so sure we’d ever see the day), we’ve put Fancy Burger Night back on the weekly menu. 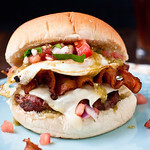 The first Fancy Burger Night of 2014 was celebrated with The Boss: a cheeseburger with bacon, a fried egg, verde sauce, and, at home – pico de gallo. 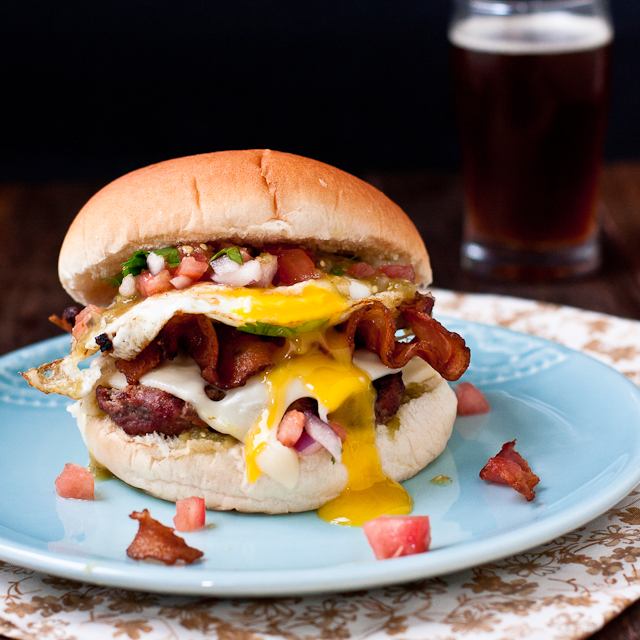 A cheeseburger topped with crispy bacon, a fried egg, tangy verde sauce, and fresh pico de gallo. Season ground beef with salt, pepper, and a few dashes of worcestershire sauce. Form into 3 patties and cook to desired doneness. In the last minute of cooking, top each burger with a slice of cheese. 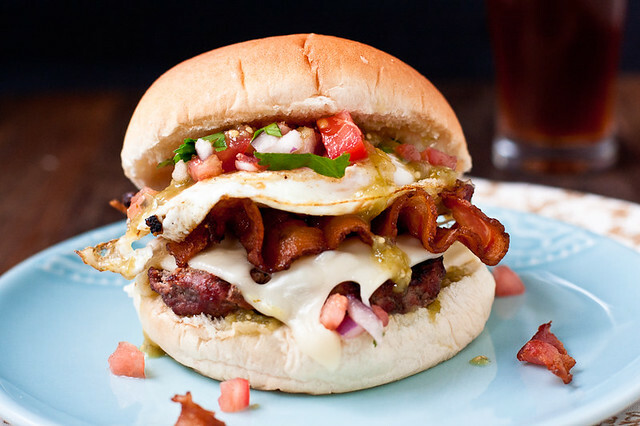 Place on a bun topped with bacon, an egg, a generous scoop of verde sauce, and a big scoop of pico de gallo. Grab a knife and a fork. This burger is aptly named! The Boss is right! Makes me want to start a Fancy Burger Night of my own!! Looks soooo good! Oh man this sandwich is AMAZING!! Yum! Love your fancy burger recipes; we’ve made quite a few and they were all amazing! This may mean the end of our friendship (it can be fixed), but I have never been to Kerbey Lane. Ever. 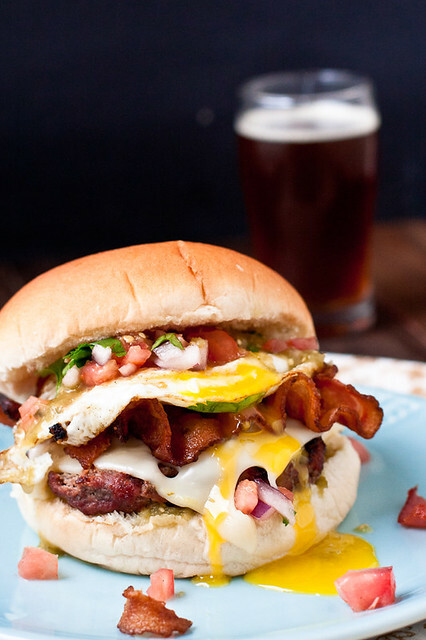 Fancy burger night = GENIUS! I must do this…and I’ll start with this recipe!